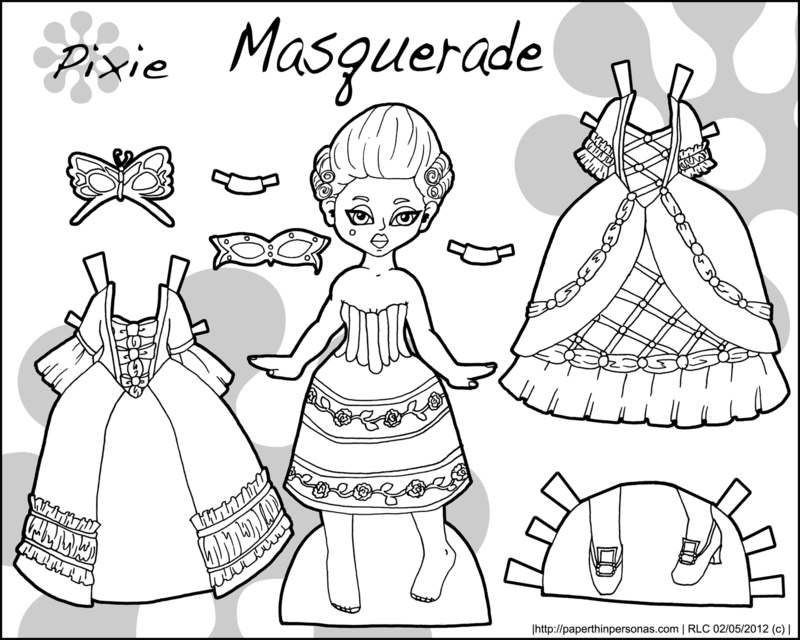 Plus I have been getting requests for paper dolls in black and white, so I guess I could pretend I was listening to people rather than just doing what I knew I could get done and posted without having to spend too much time on it. Despite the practical concerns of getting something up to, as I like to say, “feed the blog”, I know people like to color and I think its important to give people the chance to do that. 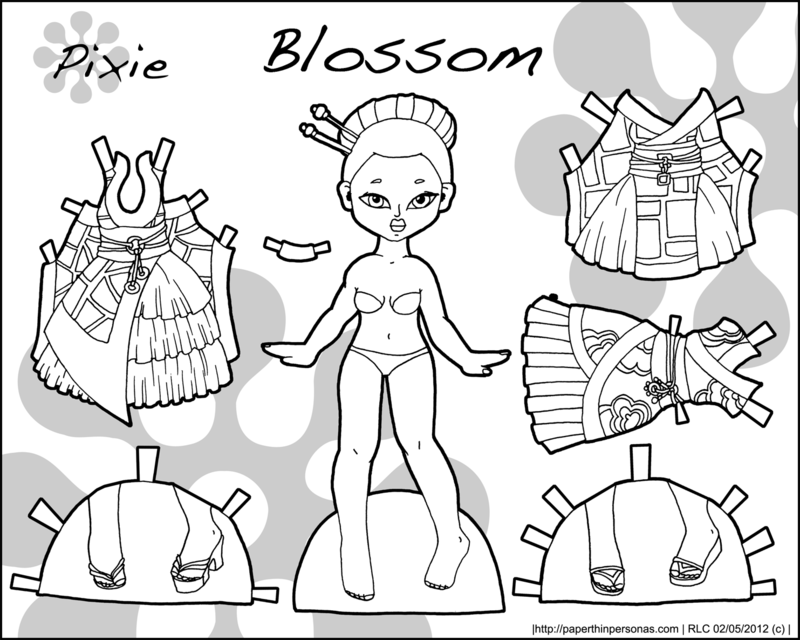 These are also both paper dolls which I really liked the full color versions of (which you can see here and here), so I hope people also like the black and white versions. I must tell you: your dolls are exquisite! Achingly so! I print them out (whole page) and post them where I can enjoy them. Incidentally, I have also printed out the b/w dolls for a friend who needs the meditative quality of coloring pretty things. I bought her colored pencils and a pencil length tin, so she might be able to carry them around in her purse (ha! It just occurred to me I should have included a pencil sharpener). Thank you for your art. Good job! Thank you. I’m glad you like the paper dolls.